We know all about how important self-care is, and that a beauty ritual can be an important way to give yourself that time to really concentrate on yourself. Whether that’s through a face mask or a really beautiful body oil that you take the time to connect with your body as you massage it in… everyone has a different preference. But beauties, how often do you take the time to give your lips a treatment? 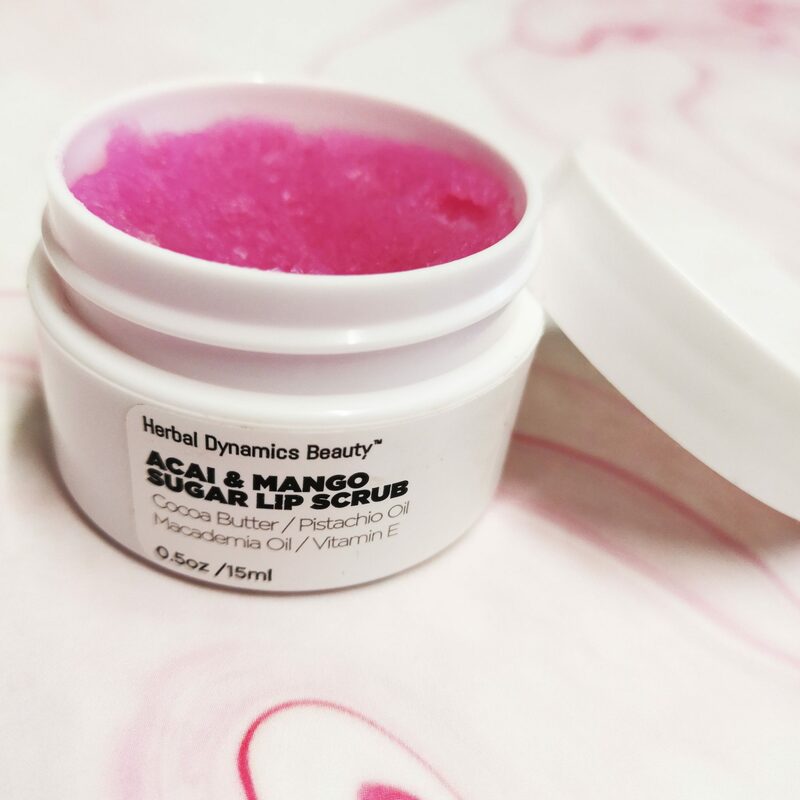 This duo by Herbal Dynamics is a great way to give your lips a little treatment and is a step I love to take when I’m planning on going out wearing a bold lipstick – because who doesn’t want to make sure their lips look their best whilst rocking that bright lip? Love that this lip scrub is drier than a lot on the marker right now. I feel it gives me a really effective scrub when I’ve really got a case of flaky, dry lips. 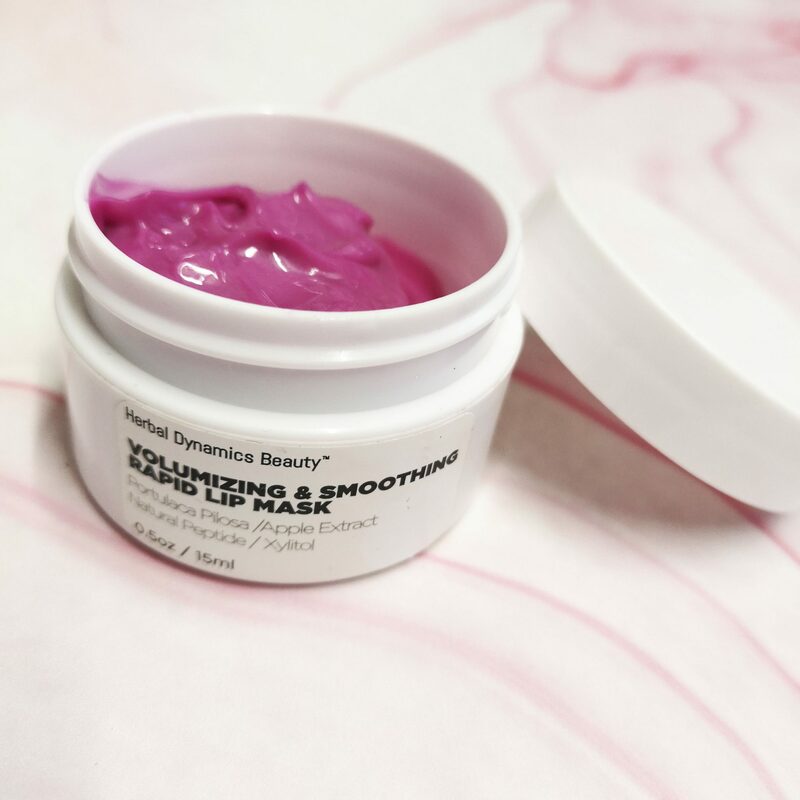 I feel like I’m really getting to work at my lips with this – but it’s not something I could use every day, so, like the mask, this is certainly a treatment rather than something you would use on the daily. The oils and butters do leave the lips feeling nourished, but it’s more like you’ve applied a lip balm, your lips aren’t left feeling oily. 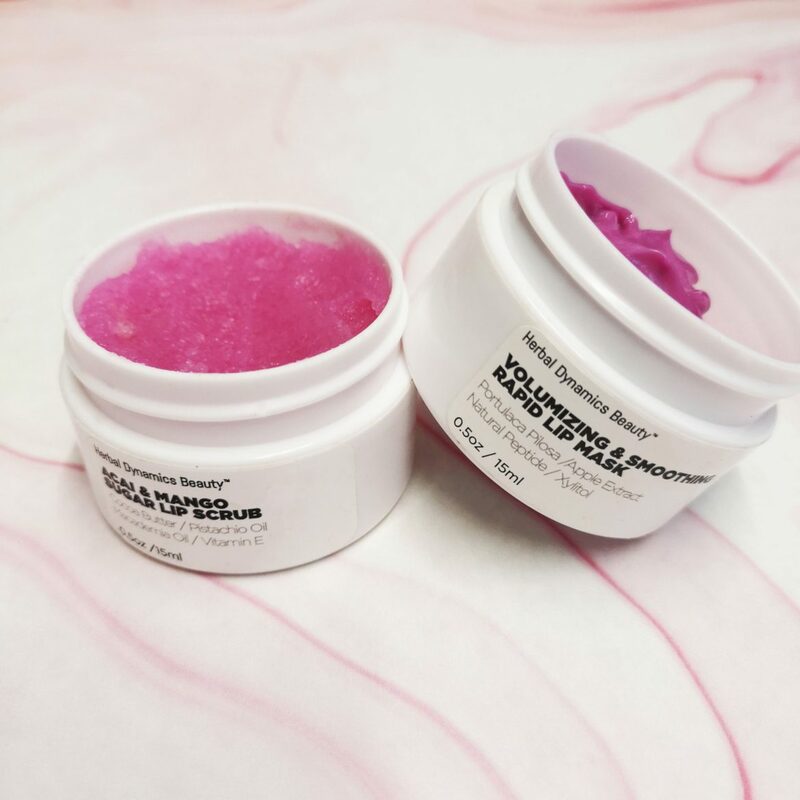 It contains cocoa butter, pistachio oil, macademia oil and Vitamin E.
The sugar basis in this scrub is also Sucrose (table sugar) to exfoliate the lips. Now, to be completely honest, when I first tried this I didn’t like it as did sting (as it’s supposed to). I’m not sure if I’m just adjusting to it or something, but after using it a few times more over the past few months, the sting doesn’t bother me as much. I leave this lip mask on until it dries (yes, the pink colour does mean you look slightly strange – it’s like a film on the lips). The lips do feel a plumped and smoother. When these two products are combined, I really do feel like my lips are softer and smoother, so like to use them before I’m planning on using a liquid lipstick, which can be quite unforgiving on chapped, dry lips. I like it more for the smoothing effect, so the lipstick doesnt cling to any dry patches when I go to use it. Lips just look brand new and without any dry skin clinging to them. After using the mask, I then follow it with a balm/oil for more of a hit of hydration. Extract of the Kiss-Me-Quick flower (Portulaca pilosa) which is easily absorbed through the dermis, is rich in vitamin A and beta carotene. It can help strengthen and regenerate the skin and has been used as a natural treatment for several skin ailments. This is also what gives this product that beautiful pink colour! A natural peptide stimulates hyaluronic acid synthesis for a plumper and softer lips. Xylitol aids in moisture retention and antioxidant-rich apple extract promotes renewal. 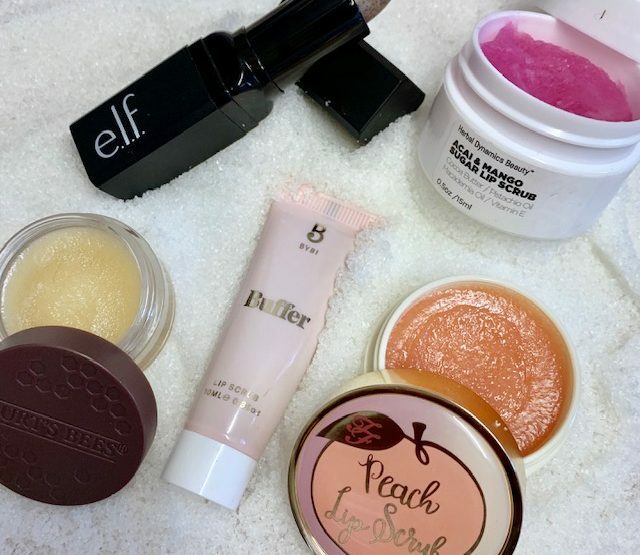 Keep it sweet – love these lip scrubs!